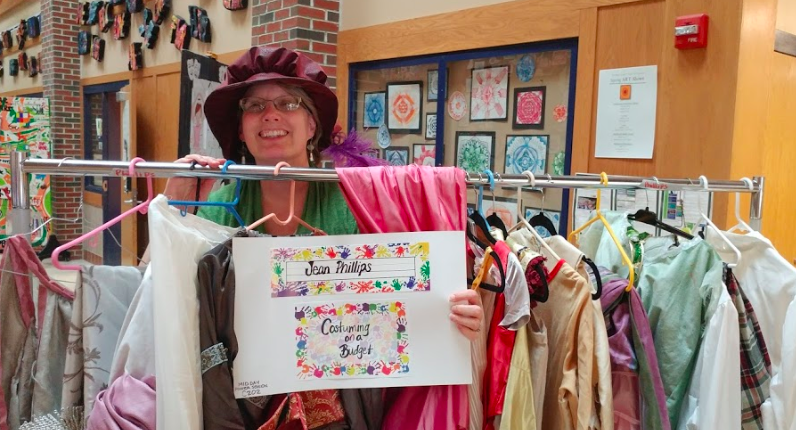 This is the LAST of several blog posts in 2018 that include stories of the Maine Arts Leadership Initiative (MALI) Phase 7 Teacher Leaders and Teaching Artist Leaders. This series includes a set of questions so you can learn a little bit about each leader. CLICK HERE for more information on MALI. CLICK HERE for more information on the 93 Teacher Leaders and 8 Teaching Artist Leaders. CLICK HERE for Arts education resources. CLICK HERE for the MALI Resource Bank. Search in the “search archives” box on the bottom right side of this post for past teacher leader stories. Thank you Will for sharing your story! Will Stecher is a music teacher working with students in grades PreK through grade 4; including beginning band in RSU19 – Newport and Corinna Schools. Will is I finishing up his 4th year in his current position and his 7th year of teaching overall. He is responsible for around 460 students between the two schools, teaching general music and 4th grade band. What do you like best about being a music educator? The moments when the kids begin to see and feel why we do this thing called art, when they know the song so well that they aren’t even thinking about who is watching them or whether it’s a cool thing to do. The moments when they realize that making music in any form is fun and they want to do it more. The moment when a kid who has been working hard on a song finally breaks through and plays it just right. When kids come into a performance feeling good and regardless of the how that performance went, they are feeling good about what they have done. What do you believe are three keys to ANY successful visual and performing arts education? Literacy of your discipline is extremely important, being able to talk about what you are doing when you perform, or discuss the techniques of playing an instrument or what style you are creating within is a key to arts education. Great instruction is also a key, so that kids have a good foundation in the discipline no matter where they go in their schooling or in life. Passion from the instructors the kids have in the arts is a third key. We wouldn’t be in this line of work if we didn’t love our material and transmuting our love so that kids can make it something they love or like to be a part of, is extremely important too. How have you found assessment to be helpful to you in your classroom?Assessment has allowed me to see where students are doing well and where they need assistance. It helps students to see these things too, so that ideally, they can become stewards of their own improvement. As artists, we live a life of assessment. always looking at the way things are becoming or happening right in front of us. Ideally, we are passing that on to our students. 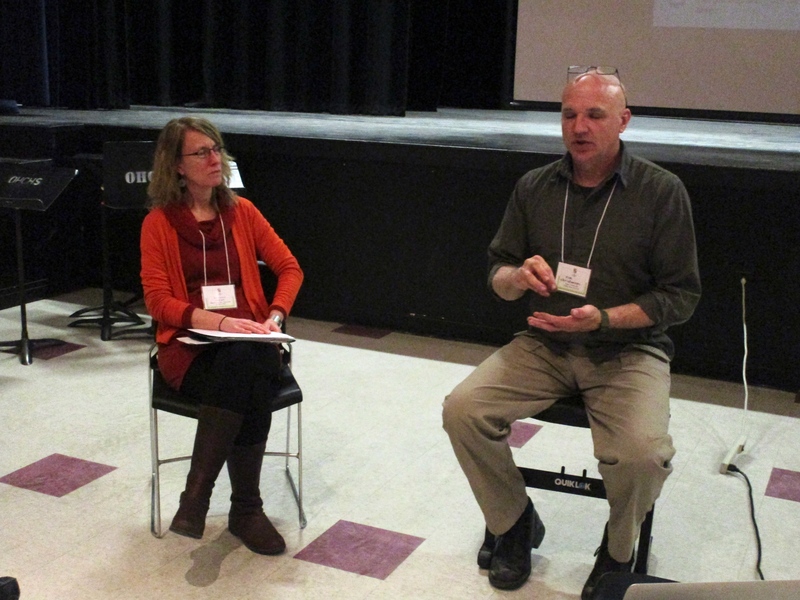 What have been the benefits in becoming involved in the Maine Arts Leadership initiative? The people I have met and connected/reconnected with in my involvement with MALI have been the biggest benefit. It can make such a difference in the life of a teacher to know that all you have to do is reach out and someone will answer and help in a way that is pertinent and useful. MALI has done that for me. 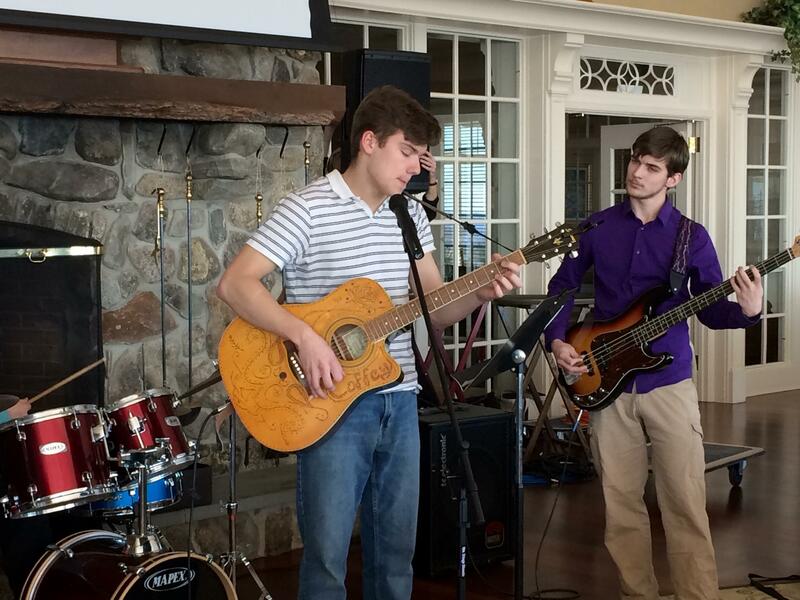 I am most proud of the students who continue on in the arts due to the experiences they have in my classroom. Some of these are students who decided long ago they were going to be musical and those kids are great. Just as sweet though, are the kids who haven’t made that decision yet and still participate fully and completely and begin to decide that they want to sing in the middle school chorus or audition for show chorus or keep on playing that instrument because they want to, not because someone is making them. What gets in the way of being a better teacher or doing a better job as a teacher? Paperwork and time. Paperwork essentially creates a second job for the teacher when the time could very well be spent on improving and creating meaningful instruction. And I always wish that I had time for those kids just starting out with band instruments to really secure fundamentals before they move on. What have you accomplished through hard work and determination that might otherwise appear at first glance to be due to “luck” or circumstances? I have frequently been told by supervising teachers, administrators and others that I seem to get along with students at all levels, that I know how to relate to them. I feel that this is something that I have not come to just by chance, though circumstances of my life have certainly contributed to it. I think it has come about through experiencing all types of people and learning about all sorts of things, even those that don’t seem to have a connection to our profession. Look into your crystal ball: what advice would you give to teachers? Remember to make time for the things that remind you why you teach. Join a band, sing with a group, draw or paint or create or whatever you do. Don’t lose touch with your art because it can help ground you even when you seem to be floating off. If you were given a $500,000.00 to do with whatever you please, what would it be? On a personal level, that is a big number and I don’t rightly know what I would do. Imagine you are 94 years old. You’re looking back. Do you have any regrets? At 94, I don’t imagine I’ll have too many regrets. I think that even though I could have chosen so many other paths in my life, the one I have continually chosen is the one that I was meant to be on. This is one of several blog posts in 2018 that include stories of the Maine Arts Leadership Initiative (MALI) Phase 7 Teacher Leaders and Teaching Artist Leaders. This series includes a set of questions so you can learn a little bit about each leader. CLICK HERE for more information on MALI. CLICK HERE for more information on the 93 Teacher Leaders and 8 Teaching Artist Leaders. CLICK HERE for Arts education resources. CLICK HERE for the MALI Resource Bank. Search in the “search archives” box on the bottom right side of this post for past teacher leader stories. Thank you Lori for sharing your story! 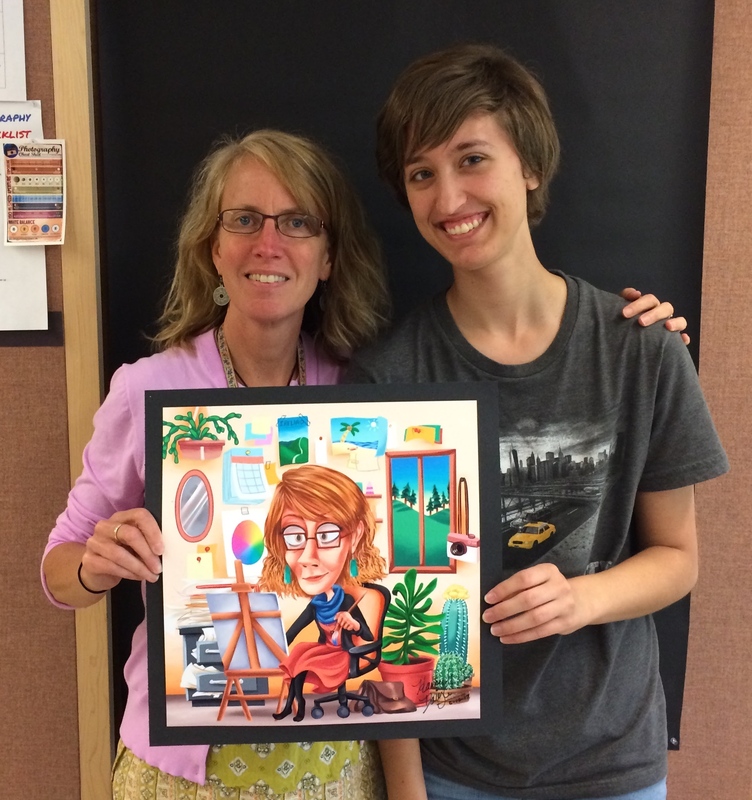 Lori Spruce has been teaching visual art to grades 9-12 at Brewer High School for the past 10 years. She currently teaches Art 1, Honors Art 1, Graphic Design, Photography, Advanced Photography, Painting, Advanced Art and AP Studio Art. In the past Lori has taught printmaking and sculpture. 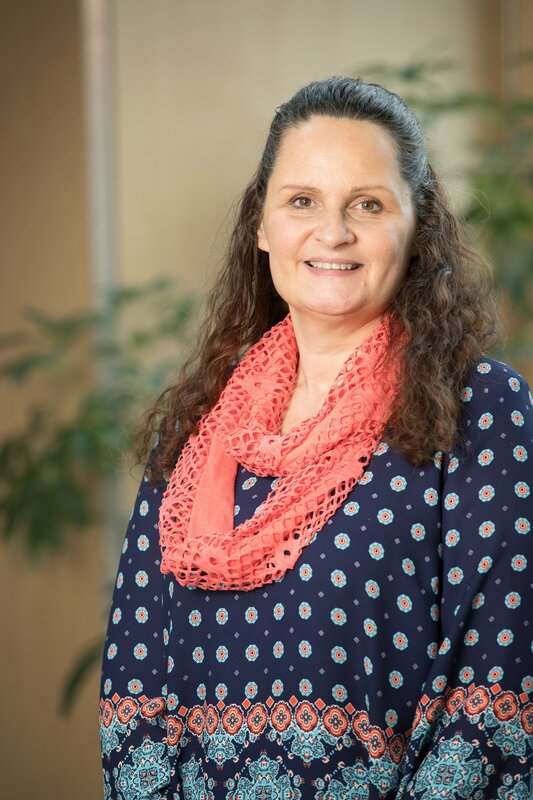 In addition, Lori is the department curriculum leader. What do you like best about being an art educator? I like empowering students through the study of art by assisting in their discovery of meaning in the visual world around them. I feel that being an art educator helps students make connections between intellect and emotion through the communication of ideas generated from that experience. It’s exciting to watch that happen and to see them make those connections in other areas of their life and learning. to instill empathy by encouraging learners to solve problems that connect to the larger world. How have you found assessment to be helpful to you in your classroom? I have found that the assessment I use in my classroom has helped my students understand their own growth as opposed to comparing themselves to others. Through reflection, my students better understand the artistic process that was involved in the end product rather then just the skill. I believe it gives them the opportunity to see where improvements can be made and therefore build on their own ideas. Also, I feel that my assessments emphasize the importance of how the mistakes they made, and hopefully overcame, ultimately contributed to the learning as well. So many art students are afraid to challenge themselves because of the fear of making a mistake and by having that be a part of the assessment process, I’ve noticed more learners letting go of that fixed mindset. I feel the benefits of becoming a teacher leader through the Maine Arts Leadership Initiative has mainly invigorated me at a critical point in my teaching career. My school has gone through many changes in the past few years and sometimes that can be draining. Working with other arts educators, sharing stories and teaching practices, and then applying that to my own curriculum has motivated me not only in my classroom, but to share what I have learned with colleagues even outside of my content area. 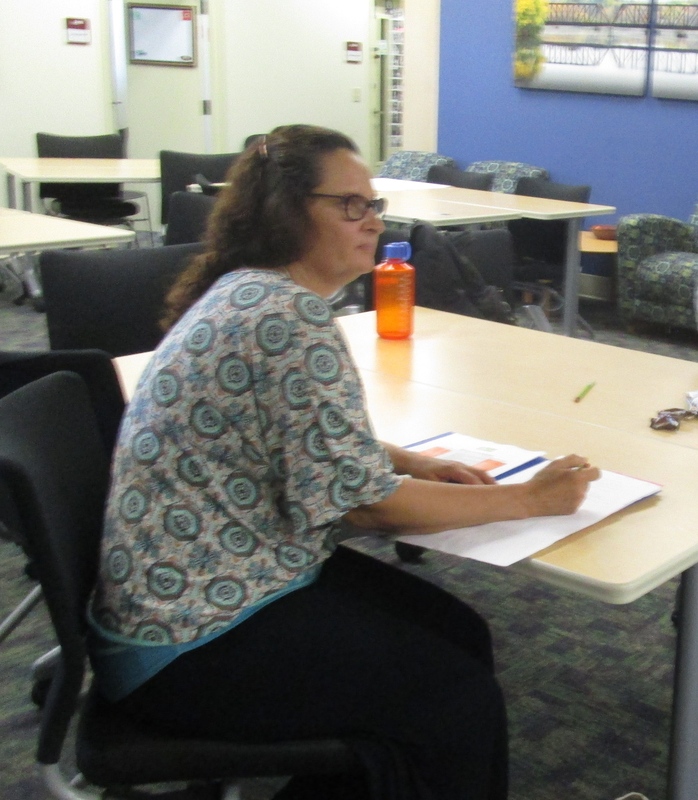 This past year, I have worked closely with our science department leader by attending a STEAM conference at the RiSE center at the University of Maine and worked on developing ideas for future projects. We now have common language that we use in our classrooms. Even some of the students have picked up on it. One recent student told the science teacher during instruction he sounded like “Mrs. Spruce”! I am most proud of the visual art program that I have helped build at Brewer High School. Since I have arrived, we have designed and moved into a new art suite with three beautiful classrooms built to accommodate a diverse art curriculum including a new digital and traditional photography program and digital media classroom. We had to really advocate for the importance of this space and our program and I am proud that the community supported it. Budgets, and time. In the above question I spoke of how proud I was that our community supported our new art suite. However since that project was approved, we have lost 1 ½ art teachers. Because of that, we offer less upper level electives then we used to which means students can’t always get in to the classes they want or need if they are interested in pursuing a career in art. It is not just our department affected by these budget changes but it still is hard to see happen. I have twin boys, now young men, one of which has cerebral palsy. My son has a lot of physical needs and still lives at home with my husband and I. He has an amazingly busy life that requires much of our assistance. I went back to school to get my art teaching certification when my boys were in elementary school. I started teaching full time when they were in high school. I can say for sure that supporting my family and their needs along with starting a new career took a lot of energy and commitment. I can also say that so much of that experience has contributed to the type of educator I am today. To continue making art and taking courses. I could use the ‘making art more’ advice myself. I find it really hard to find the time but in the rare event that I do, I am so much calmer and patient with my own students. Remembering what it is like to be a student and take part in a creative process is important. A few years ago I committed to a collaborative art show with one of my AP students. I regretted it the minute I said yes but I knew there was no turning back. It was one of the most amazing experiences and it meant so much to my student. After it was over, I got an incredible thank you letter from him. It was worth every minute I stressed over preparing artwork for it! Hmmmm….boy I think this has been the toughest question. I would have to say that I would like to bring back the art position that we lost. Our classes are much larger now and we are unable to offer as many upper level electives which are really important in a high school visual arts program. I have to teach more preps which makes it harder to focus on curriculum development. This past year I have spent much of my teacher leadership working on arts integration at the high school level. With another position, I’d love to see an arts integrated or design thinking class where students can combine content areas to come up with solutions to real world problems. Imagine you are 94 years old. You’re looking back. Do you have any regrets? I’m pretty politically active but I always wish I had done more. Especially when I see decisions made that I don’t agree with or that negatively affect our students and our schools. It’s so important to education, our environment, our communities and beyond! This is one of several blog posts in 2018 that include stories of the Maine Arts Leadership Initiative (MALI) Phase 7 Teacher Leaders and Teaching Artist Leaders. This series includes a set of questions so you can learn a little bit about each leader. CLICK HERE for more information on MALI. CLICK HERE for more information on the 93 Teacher Leaders and 8 Teaching Artist Leaders. CLICK HERE for Arts education resources. CLICK HERE for the MALI Resource Bank. Search in the “search archives” box on the bottom right side of this post for past teacher leader stories. Thank you Hope for sharing your story! Hope Lord has been the Art & Design teacher for 300 grades 6 through 8 students at Maranacook Community School for the last 7 years. She also teaches and inspires 16 gifted and talented art students and is the co-advisor for the school’s yearbook. Prior to that Hope taught in RSU #38 for 19 years, 12 as a special education teacher. It’s wonderful when I see my students make connections between art & other content areas. I love watching my students take risks in their art and grow as artists. I enjoy being surrounded by young artists and presenting them with opportunities to explore, develop, challenge, and create art. The best part of being an art educator is witnessing a student’s success, as they become and see themselves as artists. Three keys to a successful visual arts education program are creativity, perseverance, and collaboration. First of all, creativity is important because an arts educator is always looking for creative inspiration for new lessons and challenging their students to innovate and take creative risks in their artwork. Art educators also have to be creative in obtaining the resources they need for their art classrooms and for adapting materials and lessons to challenge and meet the needs of all their students. Perseverance is also key to successful arts education. The process of creating art requires the artist to experiment, revise, and rework their art numerous times. Students need to learn perseverance because students often experience failed attempts in communicating their message or executing their design. By encouraging students and supporting them through the revision process, students learn to persevere and develop a life-long skill. Perseverance not only helps students become artists, it also helps them work through any difficult task they face in school and future careers. The final key to a successful arts program is collaboration. Seeking and receiving feedback and collaboration is crucial in planning, developing, and creating artwork. When students collaborate they gain insight and new perspectives that they wouldn’t if working in isolation. 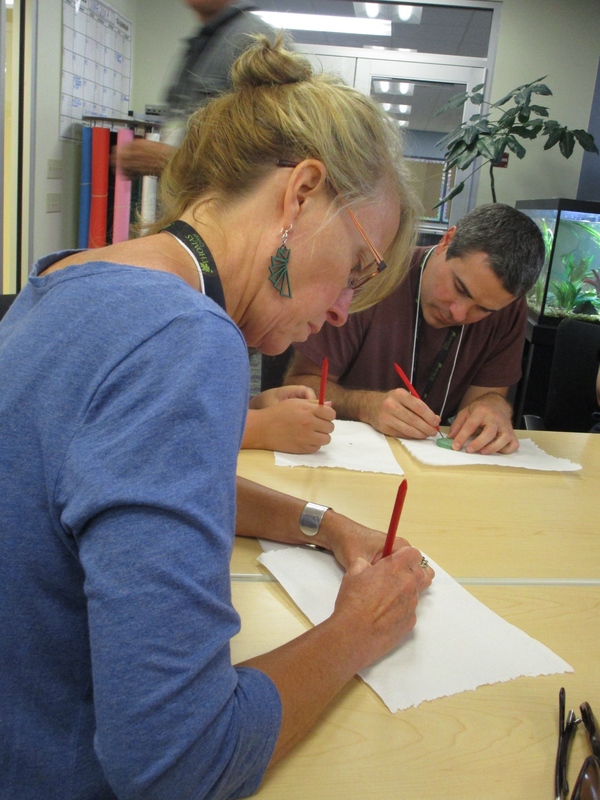 Collaboration also challenges and inspires an art educator. 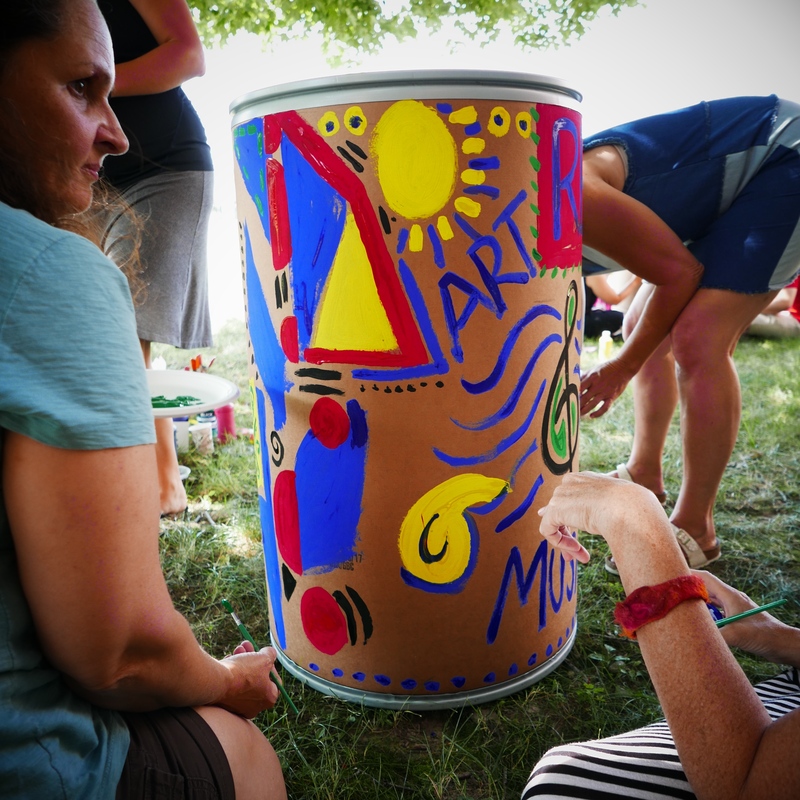 Collaborating with other educators and community members enriches an art program, providing greater resources and connections that working alone cannot. Collaboration teaches vital 21st century skills that prepare students for life. Quality assessment helps me understand how a student is learning and the degree to which they comprehend a concept. It also helps me plan my instruction based on concepts students need more instruction or may have misunderstandings and need clarification. Assessment also provides students feedback on their learning and how they can improve their work. MALI has provided me the support, encouragement, and skills I needed to become an arts leader in my school, district, and state. I have the confidence to take creative risks in my teaching. My teaching has improved because of those risks and the collaboration with teachers throughout my district. My professional growth has enabled me to become an arts education leader and mentor to new teachers in my district. Additionally, I have the confidence to share my teaching experiences with other art teachers and receiving constructive feedback. MALI has been a great inspiration. I am most proud of the work I’ve done with some of my most challenging students. I love seeing these students grow creatively and find success in art, when they have not been successful in other content areas. As I watch their art confidence grow, I also see their self-esteem improve, and it warms my heart. I know the extra investment and encouragement these students need, is well worth the effort. Every student needs to feel they are good at something. I am proud that I have been able to assist students in finding success in art and also building their self-esteem. The day to day politics of education interfere with being a great teacher. The increasing demands of our time and ever changing policies, hinders educators. The lack of support & funding for the arts from administrators, school boards, community, and legislators, all interfere with being a great teacher. I have spent the last seven years developing an arts curriculum that is engaging and fosters creativity, collaboration, critical thinking, and communication, while connecting the arts to other content areas. It is hard work and requires continuous revisions and alterations, as I teach each group of students. When a well planned and integrated art unit is executed, it seems effortless. However, it requires numerous hours of planning, research, collaboration, and support. I would tell them to trust their instincts and take risks. Share your ideas with colleagues and get feedback and support to act on those ideas. Reach out to your community and colleagues throughout the state for resources and support to bring your ideas to fruition. I would take some of the money to build a new art and design studio and gallery at my school. I would also establish a grant that would be available to art teachers to help fund art materials and equipment, field trips, and artists in residence programs throughout Maine. My only regret would be that I didn’t start my teaching career as an Art Educator. Even though I enjoyed the challenges and successes of a Special Education teacher, I wish I would have taught Visual Arts from the beginning. I would still have had the opportunities of teaching students with special needs, but through the arts lens. Teaching art and mentoring young artists has been very rewarding and my only regret is I didn’t start sooner. This is one of several blog posts in 2018 that include stories of the Maine Arts Leadership Initiative (MALI) Phase 7 Teacher Leaders and Teaching Artist Leaders. This series includes a set of questions so you can learn a little bit about each leader. CLICK HERE for more information on MALI. CLICK HERE for more information on the 93 Teacher Leaders and 8 Teaching Artist Leaders. CLICK HERE for Arts education resources. CLICK HERE for the MALI Resource Bank. Search in the “search archives” box on the bottom right side of this post for past teacher leader stories. Thank you David for sharing your story! David Coffey currently teaches music grades 6-12 for RSU 71 in Belfast. He is in his 15th year of teaching but only 4th year at RSU 71. He currently teach choirs grades 6-12, 6th grade general music, and high school modern band serving around 170 students. Outside of the school day he serves as music director for the middle school and high school musical productions, teach an a cappella group called Belfast Voices, and serve as Department Chair for the high school Visual and Performing Arts Department. I like the opportunity to open student’s minds to new discoveries. Though it’s great when those discoveries are academically focused, social and civic discoveries are equally important to the building the lives of our students. At the beginning of my career I adopted a vocal music motto; Building lives and voices with song. That is the essence of what I believe as a vocal music instructor and it brings me great joy when I am privileged enough to see it happen. The assessment practices I have developed over the past three years, online individualized vocal assessments based on voice type and level, enable me to enter into one on one digital conversations with students in ways that I was previously not able to in an ensemble setting. Using Google Classroom as a platform I am able to assess students individually without losing any rehearsal time. The assessments I offer provide students an experience where they are able to learn a song on their own, record a video of it, receive feedback from me, reflect on and respond to that feedback by correcting their performance until standards are met. This allows them to see and hear vocal growth as they continue through the choral program. 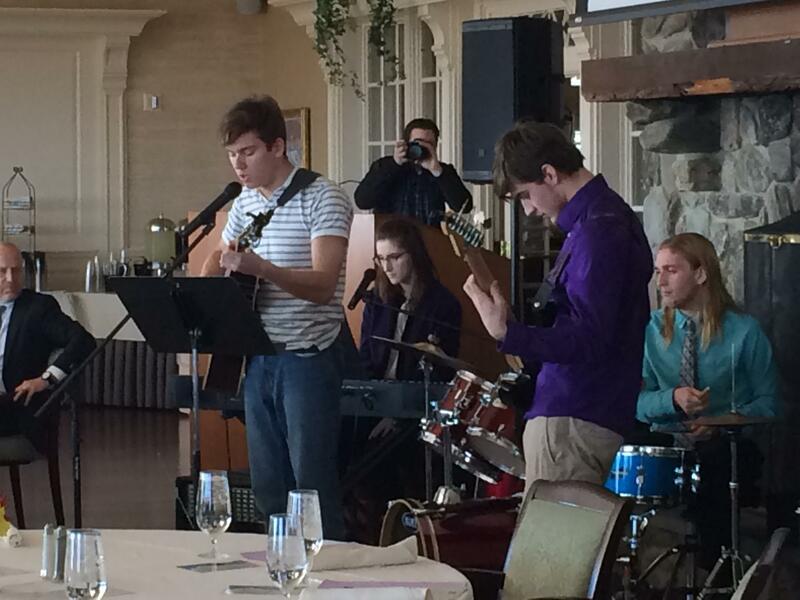 David’s students performing at Point Lookout for the arts and economic impact Maine Arts Commission luncheon. By becoming involved in MALI I have encountered new colleagues, been given access to new resources and new ways of thinking, and because of those things I have grown as an educator. The ultimate goal is growth, whether it be mentally, physically, spiritually, professionally or in the case of MALI, a growth fusion. In order to grow we must first acknowledge that there is room to grow (there always is!) and then seek or seize the opportunities as they arise. I didn’t really know what to expect when I agreed to be involved but I am glad I did. I am most proud of the relationships I have built with the staff, students, parents, and the communities where I have worked over the course of my 15 years in education. Though not always easy and while this taken many forms it is always wonderful when the people involved feel a sense of satisfaction, self-worth, and joy. Whether it be working with students and audience members at concerts, preparing students for festivals, getting volunteers for our annual mattress sale, or lending a voice at a school board meeting we, as an education community, have academic, social, and civic responsibilities that we must see through together. What we do as educators, administrators, parents, and community members matters. How we support one another matters. Though not always perfect I am choosing to focus on the positive (or should I say “Accentuate the Positive”) things that have happened to me as an educator and hopefully the contributions I have made have helped to positively shape the lives of the educational communities I have been a part of. One word answer, me…okay, so maybe the answer isn’t quite that simple but that is pretty much the case. Is it true that there are plenty of external factors at work? Yes, but ultimately it is me. Time is one of the biggest things I complain about; not enough time to do this because of that and not enough time to do that because of this. Let’s face it, there’s a lot on our plates. However, while all of that is true, I am starting to realize that maybe there isn’t enough time because I haven’t set limits for myself. Why haven’t I set these limits I might ask myself? Do the words guilt, pride, or ego ring a bell? I want so badly to do a “good” job and help as many people as possible but at the end of the day I haven’t always done a very good job of taking time to take care of me. It’s the whole analogy of putting on your air safety mask in the case of an emergency on an airplane. You can’t help your neighbor until you have put your mask on first. I don’t want to sound selfish or come across as thinking only about myself but this year I am trying to put my mask on first. Yes, I am very busy still but I am taking some time to focus on things I want to do, things that help me feel more refreshed, more energized. Do I have it all figured out? No, of course not, who does? Am I trying, am I doing my best given the circumstances I have to work with? You bet, it’s all I can do sometimes! What are you doing you might ask? Exercise was completely squeezed out of my schedule last year and it has taken its toll. While the toll was more mental than physical, it was noticeable. Knowing that exercise was an important part of my life that was missing I had to make some adjustments to my schedule and expectations of myself to add it back in. I am still working it out but I am glad I am trying, it has helped me and those around me immensely. Before I moved to Maine I worked for 10 years as a choral and eventually modern band (rock band) director serving students grades 6-12. I also directed the music for the fall musical, had an extra curricular a cappella group, and served on various committees here and there. Pretty standard fare for an Ohio music teacher. However, when I moved to Maine all of that changed. I found myself teaching concert band grades 6-12, high school chorus, guitar class, directing music for both the high school and middle school musical, directing pep band, jazz band, an a cappella group, and trying to do all of the stuff that comes along with being a teacher. Can’t you just hear the Simon and Garfunkel song “The 59th Street Bridge Song?” “Slow down, you move to fast…Gotta make the moment last….” Needless to say, I was not “feelin’ groovy!” Staffing cuts in our department prior to my arrival had eventually led to an unsustainable system with holes in our course offerings and a ½ time position in our band program that we feared was going to become a revolving door (not helpful when trying to build a program). Over the course of 4 years and in collaboration with the district music staff, administration, and school board we were able to shuffle the staff around in a way that better served the needs of our students, schools, and us as music teachers. It wasn’t easy and I even resigned and got rehired along the way but it was worth it in order to provide a higher quality, more consistent music education to our student population. Be patient and don’t spread yourself too thin, set limits. In our efforts to provide high quality arts education we can sometimes fall into the trap of trying to do everything at once. In my case, I see a new lesson or concept and want to try it out right away but without considering the artistic process of preparation, incubation, illumination, and implementation. It usually is more like instant implementation that leads to serious inflammation! Be patient, sit with the lesson or concept for a while, let it incubate, so that you can enter deeply into it not just scratch the surface. You have plenty of time to do it. Arts educators do amazing work and are often give less time to do it. That being said I know that I am guilty of spreading myself so thin that I get to a point where I feel overwhelmed by it all, crushed under the pressure (again, can’t you hear the chorus of “Under Pressure” by Queen and David Bowie….”Pressure, pushing down on me, pressing down on you, no man ask for”). I say yes to this and yes to that and by the end I am doing way too much at once and can’t really do a great job at anything. We have to learn to set limits. We don’t set limits because we aren’t willing to be helpful, we set limits because we want to be able to be helpful. Think about the oxygen mask emergency training given on airplanes (yep, here it is again!). In order to be able to help others you have to put on your mask first. You won’t do any good passed out on the floor. Be yourself and listen. You have a core, a center to who YOU are. Am I saying not to look to others as role models and guides? Absolutely not, but I am saying to follow your inner voice and to be corny and quote Shakespeare, “To thine own self be true.” Always, period! You can learn a new concept but learn how to put it in your own words, use your own voice. People crave authenticity, they can smell phony a mile away. Don’t forget to listen to those older and younger than you, you might learn something. Age doesn’t always mean more wisdom, sometimes the greatest learning you can do is by listening to your students. Trust me, they love to know that they taught the teacher something new and what a lesson that is for them to learn! I regret the way I approached my first year of teaching. I was trying so hard to be like my mentor and try things in a way that wasn’t true to myself and I ended up doing some damage to my program that took a couple of years to fix and rebuild. I forgot to take the advice I would now give to new teachers, be yourself and listen. I wanted to build a program the same way other people did and not listen to the advice of those around me. That being said, if we truly believe that education is lifelong and is about growth then we must also learn to apply that to ourselves as educators and be insistent, persistent, and consistent in that belief. I desire and try to be flexible in all things but to me it is important to always be a learner, that is non-negotiable! This is the first of several blog posts in 2018 that include stories of the Maine Arts Leadership Initiative (MALI) Phase 7 Teacher Leaders and Teaching Artist Leaders. This series includes a set of questions so you can learn a little bit about each leader. CLICK HERE for more information on MALI. CLICK HERE for more information on the 93 Teacher Leaders and 8 Teaching Artist Leaders. CLICK HERE for Arts education resources. CLICK HERE for the MALI Resource Bank. Search in the “search archives” box on the bottom right side of this post for past teacher leader stories. Thank you Cindi for sharing your story! Cindi Kugell is currently teaching High School Visual arts. She was fortunate to find an open teaching position just after graduating from the University of Maine Orono and has been happily teaching art for the past 28 years. Cindi’s first teaching assignment was in SAD#58 teaching at 2 K8 schools. In 1998 my husband, 2 young children and I moved to Oxford and started teaching in SAD#17 in the Oxford Hills K6. In 2000 we added a third child to our tribe and our family was complete. Fast forward to 2010 and a position opened at our high school. I made another move to Oxford Hills Comprehensive High School to teach darkroom photography and introductory Art 1 courses. Over the past 8 years I’ve added Adaptive Arts, Drama, Yearbook, Advanced Photography, and Studio Art History to my teaching load and have taken on the roll of K12 Visual Art department chair. I am also the Yearbook advisor and Lead teacher for our Project Graduation group. I like to stay busy! What are the positives of having the best job EVAH!? At the K-8 level one of the “bests” was getting to see EVERY student in the school and building lasting relations with them over time – year after year after year! Most teachers don’t get the opportunity to really know their students (and their families) as they grow up. My first year teaching at the high school level I had the unique opportunity to have Seniors in my classes that I had first 13 years previous as Kindergarten students, nothing is cooler than that! I love my job, there isn’t anything that I’d rather be doing. Who wouldn’t love the celebrity status that comes with knowing so many students, building positive relationships with them and their families, building skills in talented children and getting to play with art materials all day while teaching a subject that you love?! Teachers can foster success in their programs is by letting their students know that skill in the arts can be increased just as math, English or any other core subject can be build upon. By letting them know that it’s your job (and your pleasure!) to help them get better and grow as an art student, you can relieve some of the pressure they may feel while in your classroom. Meeting student where they are and moving them forward is the job of all educators, some of us just get to have more fun with the supplies that they use to get students to their best! A well rounded education is important to student success. So are the skills of creative problem solving and critical thinking. The arts are a fantastic, hands on way of fostering those skills in students. I’m fortunate in my district to be very well supported in what I do and how I teach. Teachers and administration see the value of a well rounded education and the roll that the arts play in student success. My current jam in the world of assessment and reporting is a single point universal project rubric. This style of rubric has only the descriptors for the proficient level of achievement listed down the center. To the left is a box that I can write descriptive feedback to my students on what needs improvement or isn’t going well and to the right there is an area that I can write things that were amazing or outstanding in their project. Kids love the comments and the opportunity to go back and make adjustments to their work. It takes a long time to assess this way, but as it’s a universal rubric for all projects there is a clarity for students as they navigate through work in the art room. What have been the benefits in becoming involved in the Maine Arts Leadership initiative? I think the biggest benefit for me is the networking with other teachers. It’s easy to become comfortable on your own little teaching Island and get stuck in a pattern or “the same old”. Learning new things, meeting others that share your discipline and making those colleague connections helps to keep things fresh and inspiring in teaching for me and for my students. What are you most proud of in your career? The first thing that comes to mind is the fact that I had my own 3 children in my classroom K12. When they were in Elementary I taught at their schools and when I made the transition to the High School level I had them there as well. It’s a unique opportunity to see your own children as learners and know that they are great people! They also have given me great feedback on my lessons, organization and classroom routines that have been very reaffirming. Nobody is more critical than your own children on the crazy things you do to inspire students! I’m proud of my 28 years in art education and proud of the great students (and children!) that I’ve raised during my career. What gets in the way of being a better teacher or doing a better job as a teacher? I think the age old comment of “time” is the biggest obstacle in becoming a better teacher. It takes a huge amount of the stuff to do your job well. Staying current with educational practices in this ever changing landscape can be exhausting. Pair that with extra curricular activities, leadership roles, teaching, parenting and family life and you’ve got a full 24 hours in each day – oh, and try to rest up in there as well! What have you accomplished through hard work and determination that might otherwise appear at first glance to be due to “luck” or circumstances? Starting in this district as a part time elementary art teacher, moving to full time elementary then stepping up to the High School level and finally ending up as the leader of our K12 art department has taken a fair amount of hard work and determination. I wouldn’t change a thing and can’t thank my colleagues enough for their support and hard work this year. It’s amazing to work with such a great team of educators and I’m thankful for that everyday! Look into your crystal ball: what advice would you give to teachers? Get your masters while you are young and never stop taking courses or PD to improve your teaching skills. As educators we need to keep learning just as we expect our students to learn from us. Stay current, advocate for yourself and your program and LOVE what you do. If you were given a $500,000.00 to do with whatever you please, what would it be? Education is so grossly underfunded that I can think of a plethora of activities, programs and equipment that would be amazing to add to our district. I think the most pressing issue that I’d apply the funds to would be to increase the base pay of our new young teachers to entice them into the profession. I know teaching isn’t all about the money and has it’s own rewards, but we need new qualified educators in our field and we need to validate the importance of the profession and celebrate it accordingly. Imagine you are 94 years old. You’re looking back. Do you have any regrets? I have truly enjoyed my career. My only regret is in not continuing my education by getting my masters. I’m working on it now, but do wish that I’d taken that step earlier. I can remember starting out as a new teacher and thinking to myself “I’ll do this for 5 years or so then change to something else”. Well, 28 years later I’m still here and loving every minute of it! Every day is a great day to learn something new and my students teach me something new every day. 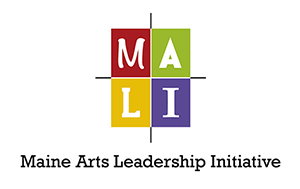 This is the seventh blog post of the Phase 6 Maine Arts Leadership Initiative (MALI) Teacher Leader stories. This series includes a set of questions so you can learn a little bit about the work each Maine visual or performing arts teacher or artist is doing. CLICK HERE for more information on MALI. CLICK HERE for more information on the 81 Teacher Leaders plus 4 Teaching Artist Leaders. CLICK HERE for Arts education resources. CLICK HERE for the MALI Resource Bank. Search in the “search archives” box on the bottom right side of this post for past teacher leader stories. There have been 77 posted to date. Thank you Jean for sharing your story! Jean Phillips has been a teacher at Wiscasset Middle High School for fifteen years. Originally hired to teach English, but, in 2008, when the drama coach and director left, she picked up the three drama classes. In 2010, when the person hired to direct the One Act Festival play suddenly quit, the opportunity to direct came along. The following year, Jean was “hired” to teach three drama classes: Acting Workshop, Children’s Theatre, and Tech Theatre Design and to direct the two yearly productions. She has been doing both “jobs” ever since. Presently, Jean also teaches the 8th Grade drama component of their Allied Arts program. Her yearly responsibilities include two public performances – one in the fall and the One Acts Festival piece – creating, building, or procuring all the sets, costumes, and props, as well as the maintenance, storage, and upkeep of the lights and the stage. She usually teaches nine to twelve 8th graders per quarter and 10-15 students per year in the Acting Workshop class per year; 8-12 students per year in the Children’s Theatre class; and 20 – 30 students per year in the Tech Theatre Design class. Jean’s Acting Workshop class involves teaching the terminology specific to theatre, stage positions and body positions – creating characters through analysis and fulfilling the performance standard by producing a public performance piece. Children’s Theatre begins with each student reading a children’s book, creating a story board for the book, a group decision of which play be the best to produce, writing a script, practicing together, and putting on a public performance – sometimes with children in the audience. Tech Theatre Design involves the technical aspects of theatre – specifically the design and construction off a set, sometimes the design of costumes, if time permits lighting and makeup. What do you like best about being a theater educator? My most favorite part of being a theatre teacher is watching students become hooked on working on the stage – either behind the scenes or as actors. I love that many disenfranchised students have found a home in theatre and even if they don’t pursue it any further than high school, they will have gained skills that will carry them throughout life. The three essential things to a successful performing arts education is full support by administration, parents, and state; less interference by outside agencies; and fewer budgetary constraints. I am just beginning to utilize more formative assessment in the classroom. The public performance has always been the summative assessment, but I have found it important to the success of the summative assessment if more formative assessments are given. Before becoming involved in MALI, I taught my three classes and directed my plays. Now, I have never been as involved with professional development for the arts as I have this year. I have made more contacts and found advocates. I have also been able to engage more students in advocacy for the arts, too. I am most proud of two things: first, that I have been directly responsible for having students opt to become theatre arts majors in college; and two, that students who have not normally found a home in high school have found a safe haven on stage. For me there are two things that get in the way of being a better teacher or doing a better job as an educator: people who have no idea what happens on stage telling me how to do my job – the more constraints put on me by bureaucrats makes connecting with students harder because I’m spending more time with pointless paperwork than working directly with the students; and my own inhibitions. I am not a risk-taker and feel safer with the tried and true. My whole life has been about hard work and determination. I have major anxiety and live my life in stress. In spite of this, I have earned two BA’s and an MA – all because I do not believe in quitting. I broke my leg my third year of getting my MA and learned to drive with my left foot so I could continue going to class because I knew that if I took the rest of the semester off, I would never go back. I set my sights on a goal and just push forward since I’ve never been very lucky or relied on circumstances to get what I want. Wow – I’d tell them there’s a fine line between keeping discipline and being a hard nose about following the rules. I’d tell them that there will be times when you won’t sleep because you’re worried, or you’re scared, or you’re frustrated, or you’re stuck – and all of those sleepless nights will be worth it when just one student comes back to thank you or remembers you fondly later in life. I’d say that no matter how much your budget gets cut just keep on keeping on. Arts education is important and students need this creative edge as well as a haven – be these things and more. If I had $500,000 I would build a separate arts facility for Wiscasset Middle High School – one with adequate space and light for the visual arts, a clean, soundproof room for band and chorus, and a dedicated space for the construction of sets, the construction and storage of costumes, and a place for all performances. If this isn’t feasible due to budget constraints, I would overhaul the stage lighting, build a space for the construction and storage of sets, maybe get more tools, and have someone come in and design a much cleaner, more organized space for the lights. Who doesn’t have regrets? I guess my biggest regret would be that I didn’t reach more students, especially since many of them shied away from my program because they were anxious about performing or because they were afraid of me because of what they had heard from other people. I hope to have worked on the latter before I’m 94. 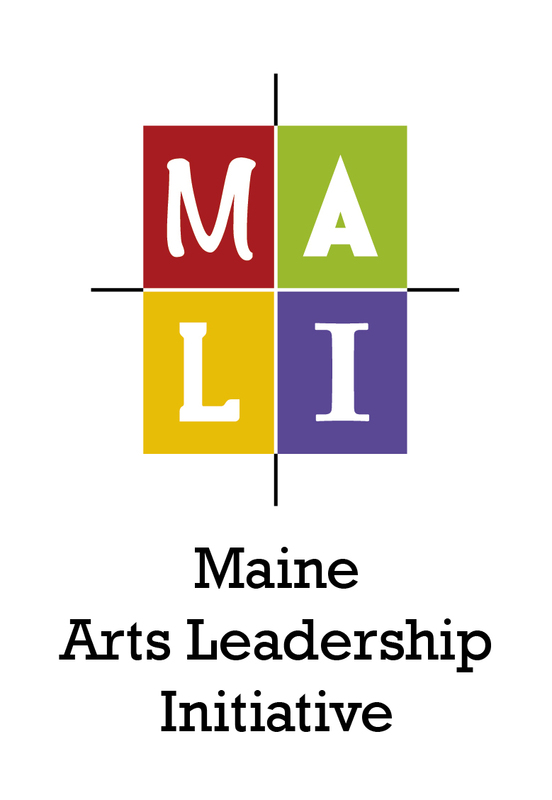 This is the sixth blog post of the Phase 6 Maine Arts Leadership Initiative (MALI) Teacher Leader stories. This series includes a set of questions so you can learn a little bit about the work each Maine visual or performing arts teacher or artist is doing. CLICK HERE for more information on MALI. CLICK HERE for more information on the 81 Teacher Leaders plus 4 Teaching Artist Leaders. CLICK HERE for Arts education resources. CLICK HERE for the MALI Resource Bank. Search in the “search archives” box on the bottom right side of this post for past teacher leader stories. There have been 76 posted to date. Thank you Rick for sharing your story! Rick Osann teaches grades 9-12, Theatre, Film & Video at Bonny Eagle High School in Standish. He has been teaching for 13 years, 11 at Bonny Eagle. His courses include Theatre 1 and 2, Stagecraft, Film History, and Video Production. The theatre classes are all experiential learning classes. In Theatre 1 students produce a children’s play that tours the elementary schools. In Theatre 2 students write their own play and perform at an evening at the high school. In Stagecraft students design and build the scenery for the main stage productions. The Stagecraft class has won a “Set Design Commendation” at the One Act Festival for the last several years! Rick has about 80 students per term between four classes. In addition to classes, Rick serves as Drama Club and Thespian Society Advisor. Thespian Society is a dramatics honor society sponsored by Maine Educational Theatre Association. 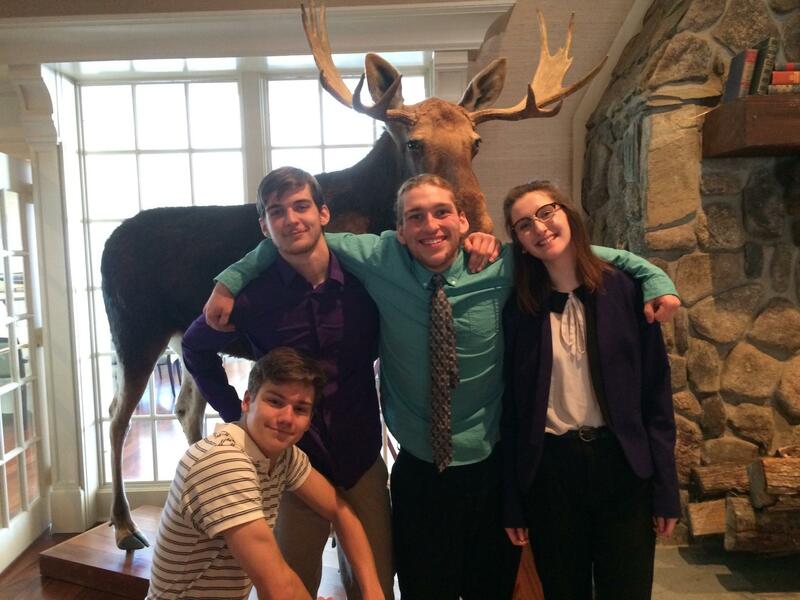 He directs two main stage productions per year, a full length play in the fall and a one act play in the winter, taking part in the Maine Drama Festival, and Rick serves as Producer for their spring musical. In addition, he volunteers as State Chapter Director of the Maine Educational Theatre Association. I often tell my friends I get to go to work and play every day. Now, this is not saying I don’t work hard. I spend more hours working and work harder each of those hours than I did before I was teaching. The difference is that I totally believe that what I am doing is important and meaningful. When I was in high school I was totally passionate about theatre and I love having the opportunity to share this passion with students. Theatre is a place to create magic- we bring into existence whole worlds out of our imagination, and then we invite the public to live in our world for a couple of hours. It is a life-changing experience to create a moment of extraordinary beauty on the stage! Be passionate- We need to be passionate about our art and believe it is the most important study that our students will experience in school. I often tell my students that our theatre class is the best place to learn the skills they will need to succeed in the modern world. We study and practice collaboration, creativity, communication- all the 21st century skills- and we do them with a strict deadline. Business leaders are recognizing this! 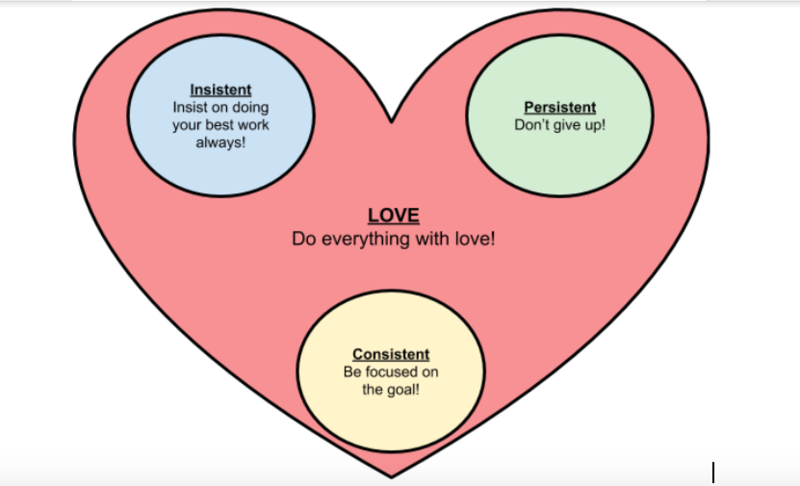 Love- We need to love our students and support their own passions. Sometimes this isn’t easy! Learn- Keep learning something new every day. It is so important for students to understand what they are doing well and where they can improve. Traditional grading methods average out student strengths and weaknesses. Proficiently Based Education (PBE) identifies for the student each individual strength and weakness and how to improve. Getting a handle on PBE is challenging! Working with MALI has forced me and helped me to make my own assessment practices more genuine so they’re meaningful for my students. We just won the Maine Drama Festival Class A State Championship!! This was pretty darn exciting. I am incredibly proud of how well my students worked together and supported each other to reach this goal. It was an honor to help these students grow and mature through their years in high school. A long time ago it was pretty spectacular working on the film, “The Muppets Take Manhattan”! There is never enough time to do all the things we know we should do to help our students. I struggle to get my priorities straight to balance home, family, classes, theatre, and volunteer work. There are so many important things we can do to help our students and sometimes I worry I’m not doing any of them well enough. I still consider my first teaching job to be my greatest moment of “luck”. Sylvia Pease, Superintendent of SAD #55, will always be my angel for hiring an inexperienced teacher and giving me this chance. I would like to think she recognized in all of my “non-teaching experiences” something that might be of value to students. Believe in what you do and the importance of every moment you share with your students. You are making a difference in many lives. Be confident that what you do and say MATTERS, even when it looks otherwise. Create more opportunities that would encourage students to get involved in theatre. Open a theatre somewhere? We went to London over February break and saw that the upcoming London production of “Hamilton” is enabling them to renovate and open a theatre that has been closed for over 50 years. Awesome! When I was fresh out of graduate school, my wife encouraged me to try teaching public school. I thought it was crazy, when my degree qualified me to teach at the college level, that I would need to go back to school to teach at the high school level. What a fool I was! When I finally took the education classes after about 30 years in various careers, I realized how helpful and important they were. I don’t regret my other careers and learned a tremendous amount from the experiences, but I wish I had listened to my wife and started teaching sooner. The past 13 years have been my very best!